I heard this was a strenuous hike. It was! You literally are going through a partial rain forest. It is misty raining half way through the trail. It is a 2.2 mile hike one way. Beautiful and many birds. You hear blue jays, pilleated woodpeckers, quail, chickadees, and some sort of mountain bird which I never did get to see. 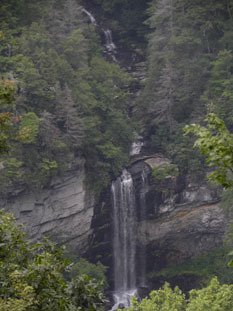 This is the tallest Waterfall in SC. 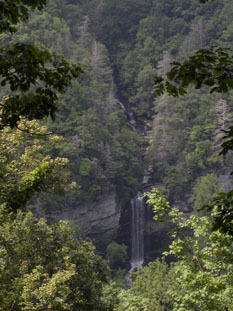 You can also go to the ranger station and walk out on to the overlook as well. Stunning!